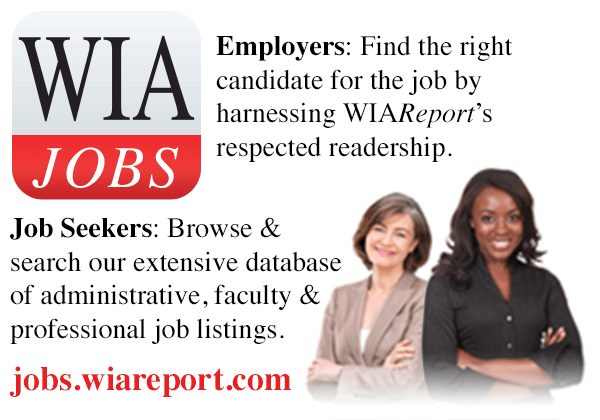 WIAReport has compiled a list of women who have received honorary degrees from a group of the nation’s highly ranked liberal arts colleges during the spring commencement season. 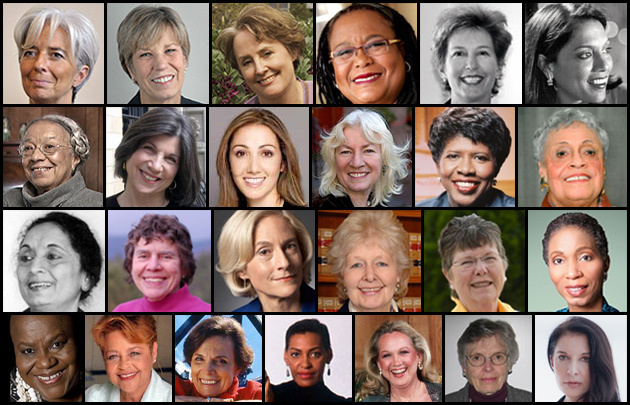 Smith College led the way, bestowing honorary degrees on four women. Amherst College, Middlebury College, and Mount Holyoke College each gave honorary degrees to three women. All told, 29 women were honored by these liberal arts colleges. Margaret H. Marshall, the former chief justice of the Supreme Court of Massachusetts, earned honorary degrees at two leading liberals arts colleges. • Christine Lagarde is France’s minister of economy, finance and industry. She was unable to come to campus for commencement to receive her honorary degree. • Gail Kern Paster is the outgoing director of the Folger Shakespeare Library. • Alice Waters is the founder and owner of Chez Panisse, the Berkeley, California, restaurant. She is a public advocate for healthy eating. • Evelyn M. Hammonds is dean of Harvard College. • Cynthia M. Friend is the Theodore Williams Richards Professor of Chemistry and professor of materials science at Harvard University. • Mira Nair is an Indian filmmaker. Some of her recent films include Vanity Fair (2004), The Namesake (2007), and Amelia (2009). • Adelaide M. Cromwell is a professor emerita of sociology at Boston University and founding director of its Afro-American studies program. • Maria A. Scates is founder and CEO of Johnson Park Center in Utica, New York, which offers safe and supportive housing for homeless families. • Irene Brown is the founder of both the Community Action Partnership of Madison County in New York State and the Lifelong Learning Program, a collaboration between Colgate and the Hamilton community. • Anna Quindlen is a Pulitzer Prize winning journalist and the author of five best-selling novels and seven non-fiction books. • Pardis Sabeti is an assistant professor in the department of organismic and evolutionary biology at Harvard University. • Judy Wicks is co-founder and chair of the Business Alliance for Local Living Economies and the Sustainable Business Network of Greater Philadelphia. She is also the founder of Fair Food, a non-profit with programs that connect local family farms to the urban marketplace. • Gwendolyn L. Ifill is managing editor and moderator for Washington Week and senior correspondent for The NewsHour on the Public Broadcasting System. • Maxine Atkins Smith is a 47-year member and former executive secretary of the Memphis chapter of the NAACP. • Padma Desai is the Gladys and Roland Harriman Professor of Comparative Economic Systems and director of the Center for Transition Economics at Columbia University. • Dorothy Bigelow Neuberger, a 1958 Middlebury College graduate, is vice chair of the Middlebury Community Care Coalition. • Martha Nussbaum is the Ernst Freund Distinguished Service Professor of Law and Ethics at the University of Chicago. • Margaret H. Marshall is the former chief justice of the Supreme Court of Massachusetts. • Nancy A. Mallor, an alumna of Mt. Holyoke, serves as superintendent of the Reef-Sunset Unified School District in California. • Helene D. Gayle is president and CEO of CARE USA, a leading international humanitarian organization with anti-poverty programs in nearly 70 countries. • Bernice Johnson Reagon is professor emeritus of history at American University and curator emeritus at the Smithsonian’s National Museum of American History. • Judy Burton is president and chief executive officer of the Alliance for College-Ready Public Schools, a Los Angeles-based non-profit, charter management organization. • Sylia Earle is Explorer in Residence at National Geographic Society. She has logged more than 6,500 hours in underwater exploration. • Carrie Mae Weems is a photographer and filmmaker. • Shiranee Tilakawardane is a supreme court justice in the nation of Sri Lanka. • Barbara Cook is a recording artist and Tony Award-winning actress of the Broadway stage. • Jean Shaw was honored with her husband Biff. The couple has been bridge builders between Wesleyan and the Middletown community, and numerous local organizations have benefited from their dedication. • Marina Abramovic is a Yugoslavia-born, New York-based performance artist. • Ann Bancroft is the first woman in history known to cross the ice to both the North and South Poles.